I have decided to join forces with this dynamic group. I've lurked on their Facebook page and through their blog posts for a few years now, but this year I thought I needed to play a more active role in their community. First, a little about them. Insecure Writer's Support Group was founded by Alex J. Cavanaugh. His awesome co-hosts for today's posting of the IWSG are Elizabeth Seckman, Lisa Buie-Collard, Chrys Fey, and Michelle Wallace! I'm Kai Strand. 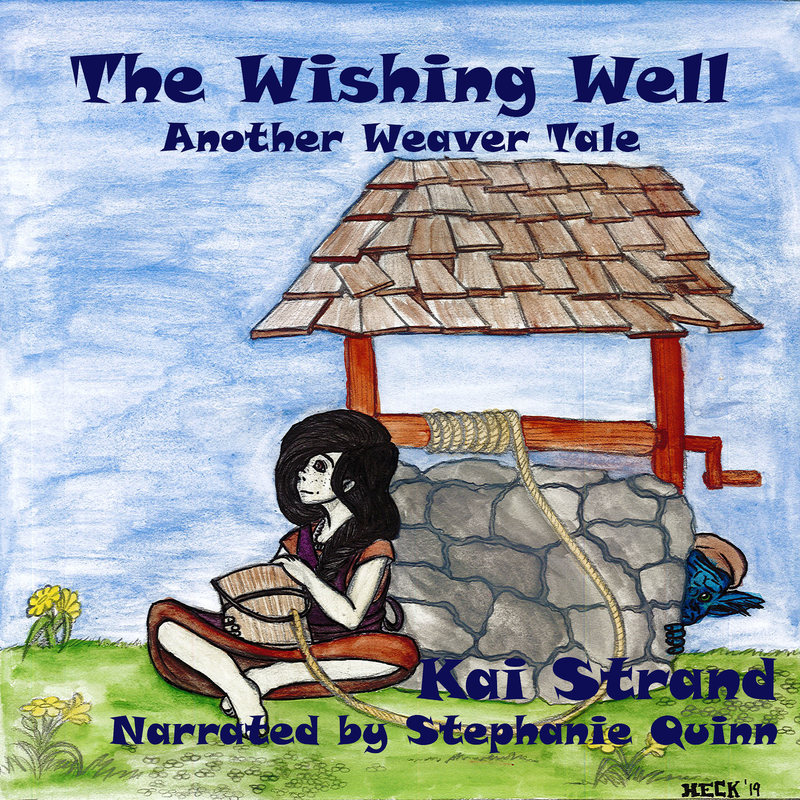 I write fiction for kids and teens. I coordinate LIGHTNING QUICK READS, a multi-author short story blog, I'm a mother of four. A wife of one. I hate to touch raw meat, and I'm a Mozart fangirl. 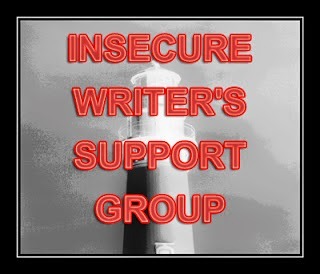 You might wonder why, after seeing the publication of nine books, I'm only now joining a group for insecure writers. It would be a valid question. I assure you that I've gained all sorts of knowledge and confidence in regards to my writing career. However, I've also gained some new concerns and insecurities that other authors are likely to understand. I want to share my experiences and I invite others to share theirs as well. I'd love to hear any suggestions people might have to address my neurotic thoughts, too! When I lighten up on the promotion, books sales drop. It's that simple. With each new title I hope it will be the one that 'resonates' so readers start talking about my books more and I can finally talk more about the weather, or my favorite movies, or boots - gah, how I love boots. However, it gets more difficult to keep that enthusiasm high when resonation hasn't happened. Insecure thoughts, such as, If readers aren't gushing, they must not like my work, sneak into my head. I imagine my husband eyeing the electric bill and thinking, The least she could do is pander her books in the Home Depot parking lot. Then I consider focusing on something else entirely. I'm sort of an all or nothing type of person. So if I'm going to spend a lot of time writing novels, I'm going to want to provide them the opportunity to be discovered by seeking promotional opportunities. If I decide it is time to stop seeking those opportunities, then I may as well stop investing all my time in writing and go back to corporate America and get paid for all my hard work. Writing is my career. Since I don't have a boss giving me a performance review, I measure my success on things like, the number of books sold, the number of reviews (hopefully, mostly positive) posted, the size of my royalty checks, my engagement with readers. And I'm wondering if I should fire myself. For the record, I do recognize my own successes such as, I've SOLD nine manuscripts to publishers and self published two. I'm not all doom and gloom, you are only getting a look at a current gloom. I'm sure I'm not the only author to feel this way. I invite others to commiserate. I'd welcome thoughts on ways to retrain my brain to look for other signs of success. What do you do to re-inspire your career? If nothing else, thanks for listening. It always helps to 'share' my concerns. If been battling with this one for awhile now and really hope I'll be able to get beyond it. Well, hello Kai and welcome to the ISWG! We've started on the same day, and both of us have published work... yet, yes the insecurities are there and I really emphasise with you over all the things that now keep us away from writing. Thanks for stopping in, Jemima and welcome to ISWG also. I look forward to becoming active in the community. It always helps to talk with people who share similar struggles. We can help each other continue forward in our careers. I'll hop over to your blog to say hi, too. I'm still pretty new to the publishing game, but I'm struggling with the same worries. I feel like all my efforts at self-promotion are a waste of time, time that could be better spent writing. But every once in awhile, I get an email from a reader or I'm mentioned in someone else's blog, and I start to wonder if I'm making more progress than I realize. My son is in the Navy. He was reading my book, King of Bad, on duty one night and a fellow sailor walked by and said, "I've read that too." That was a really great surprise for me! As well as an inspiration. Welcome to the IWSG Kai! The group consists of all types of writers, at different stages of their respective writing journeys, from different walks of life, all dealing with different issues... you are bound to meet writers who share your concerns... and our members are a wonderful and extremely supportive bunch! Thanks for the welcome, Michelle. I'm already enjoying myself and feeling at home by visiting other blogs. Why didn't I do this sooner?! To re-inspire my career I write a new book. I've also written a once a month Celestial calendar newsletter that has had a great start. Sounds intriguing, Stephen. Thanks for visiting. Welcome to the IWSG! You're in the right place. It's tough when the business part takes over. I don't want to be promoting all the time. I prefer talking about movies and stuff on my blog, not my books. Just keep writing and aiming for that tipping point. Thanks Alex. I'm sure I'll keep plodding along. Welcome to the group, Kai! You're among great company. It doesn't matter how many books we write and publish, we can still be insecure. And nowadays we have to do so much more than just write that it's no wonder we're still sane. I do love small press publishing. I guess if it were easy, everybody would be doing it. Wait, I think they are (winks). Yes, at least there are bragging rights. "I'm not quitter!" Lol. Great to see you, here! Thanks for visiting. Marketing efforts are simply exhausting! I can market for anyone easily, but when it comes to my own work I'm my worse enemy. My goal for 2015 and beyond is to overcome my fear! Happy New Year! In a perfect world we could write our books and they'd sell and readers would love them and we could write more and sell more... What you say, Kay, is the real world though. We have to tell the world about our novels. I think you're doing great. Your books are awesome, and one day...who knows?